Rochester’s labor force is well educated and highly motivated. We enjoy a small-town quality of life with big-town amenities. And we are growing. Rochester’s dynamic, demographic and community profile is at the core of our growing and diverse economy. Our labor market spans more than a dozen communities in the heart of New Hampshire’s Seacoast region. And we are attracting new talent every day. Over the past five decades, Rochester (pop. 29,883) has seen its population grow by more than 60 percent, and Stafford County (pop. 124,387) has posted a gain of more than 40 percent. As Benjamin Franklin once wrote, “An investment in knowledge pays the best interest” – an adage at the heart of Rochester’s culture of growth, where education and training are a priority. 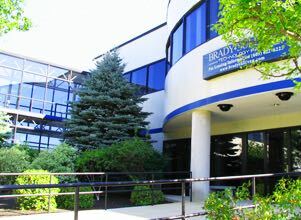 Rochester’s employers and workforce are supported by a network of top-line educational institutions offering advanced workforce training: Great Bay Community College’s Advanced Technology & Academic Center (ATAC); Granite State College, part of the University of New Hampshire system; the Richard W. Creteau Regional Technology Center at Spaulding High School; and Southern New Hampshire University. Rochester epitomizes the New England lifestyle that celebrates the commitment to quality, achievement, family and community. Founded in the early 1700s, named for the Earl of Rochester and incorporated in 1891, the city was once a manufacturing center where lumber, bricks, textiles and shoes were made and shipped throughout the country. Modern day Rochester has a become a magnet for manufacturing innovation and the individuals who make their home here appreciate all the region has to offer. With easy access to lakes, mountains and the seashore, the city also boasts a housing market that is one of the most affordable in the state, a vibrant downtown arts and cultural scene with art galleries, museum, an opera house, historical society and a full complement of city-supported events throughout the year.